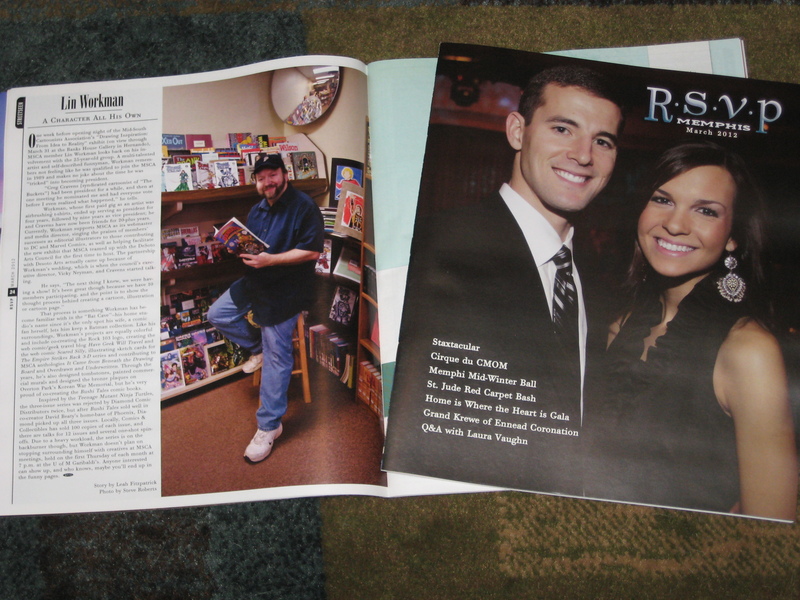 This month’s issue of RSVP Magazine features ME! I’m on pg24 in the March issue. I had a lot of fun doing the interview and having pics of me shot at Comics and Collectibles. Usually I’m on the other side of the camera! 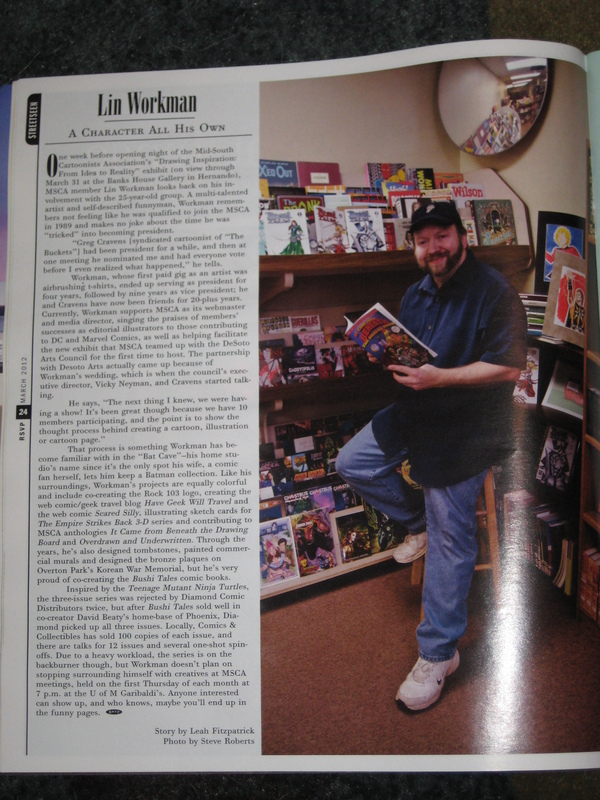 It’s a one page interview about my longtime involvement with the Mid-South Cartoonists Association and my recent one with the DeSoto Arts Council. Thanks to Leah Fitzpatrick for the kind words and Steve Roberts for the nice pic that looks like me. 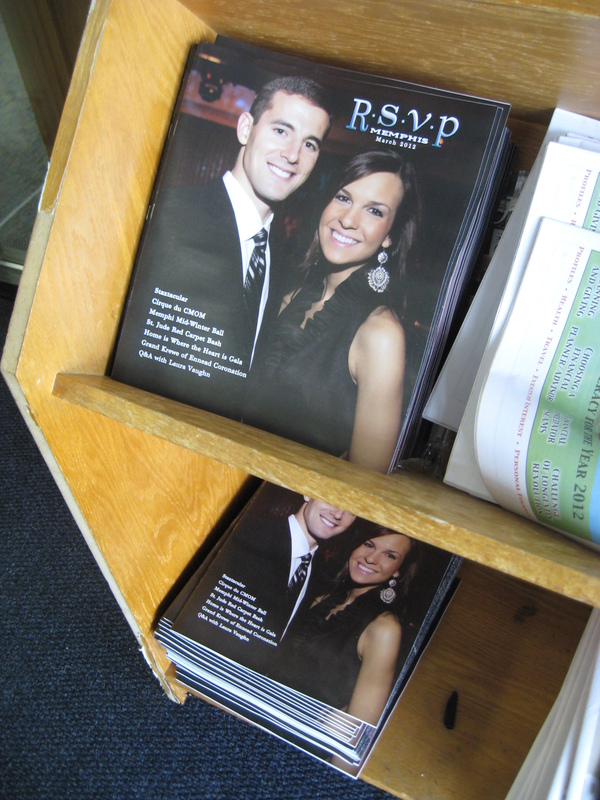 The magazine is free and can be found locally at many book stores and grocery stores around Memphis, TN. I picked up mine at The Booksellers at Laurelwood on Perkins Extended off Poplar Avenue, not too far from Comics and Collectibles. You can also view it on-line at http://www.rsvpmagazine.com/. And don’t forget the MSCA art show “Drawing Inspiration: From Idea To Reality” at the DAC runs through the end of the month in Hernando, MS.